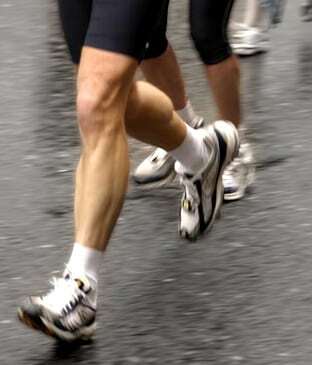 Shin pain in runners; how should this be treated? Shin pain is a common complaint we hear from runners. While the idea that shin splints may be the condition, a persons body style and running adaptations to their own body mechanics may be the reason for the pain. Shin pain is caused by impact. Asymmetries in our gait can cause us to under and over stride which affects core functions, tightens the lateral fascia in the legs and reduces shock absorption from the ground up. The end result is shin pain which can lead to stress reactions and stress fractures with training. Understanding why your shin hurts often requires more than orthotics, rest or physical treatment. Sometimes, a treadmill evaluation can show us form problems resulting in the pain. Bad habits or adaptations are hard to change, but a treadmill evaluation from your chiropractor may be a good adjunct to a thorough evaluation of the painful region. I came across this handy guide that offers some advice on how to manage shin pain in runners. It covers the common conditions and reasons you may be in pain. On the other hand, a good chiropractic sports physician will take a holistic approach to your problem and help you help yourself.